Cataracts are small clouding of your eye’s lens that can greatly affect your vision. As people age, cataracts often form in their lenses and can cause your vision to blur or become impaired at night. There are numerous types of cataracts, but the most common are age-related cataracts and affect large numbers of elderly populations. Fortunately though, cataracts are easily treatable and can be completely removed from your eyes with a simple surgery. If you have noticed a slight clouding of your vision or have noticed that glares bother you greatly, then contact your eye doctor for an appointment. They can diagnose you with a simple appointment and can talk with you about your treatment options. Age is the most common risk factor for developing cataracts. As people age they may start to develop blurry vision. People tend to notice the first decreases in their vision around age 40 or 50. Often, this is the beginning of cataracts. Other risk factors for developing cataracts include: Family History, Diabetes, Glaucoma, Trauma, Smoking, UV Light and Steroids. Patients with a strong family history of cataracts and other eye diseases will have an increased risk of developing cataracts as they age. If you have a family history of any eye diseases, then you need to be seeing an eye doctor regularly. An eye doctor can watch for the signs and symptoms of cataracts and determine the proper course of treatment for you as you age. Diabetes is another risk factor for developing cataracts. Constant exposure to high blood sugar can damage your eyes and put you at a greater risk for developing many eye disorders, including cataracts. Glaucoma in itself is not a risk factor for developing cataracts, however many simple surgeries that help reduce your symptoms of glaucoma can actually increase your risk for cataracts. This is due to the trauma your eyes will undergo during surgery. Trauma of any kind, including an injury or surgery, can greatly increase your risk for developing cataracts in your lifetime. Other lifestyle choices including smoking, constant exposure to UV light, and persistent steroid use can increase your overall risk for developing cataracts. Most people who do develop cataracts have a few questions. Often, at the top of their list, is how their cataracts developed. Your eyes are phenomenal, and can allow you to see a great amount of detail all around you. They work similarly to a camera lens. Human eyes have a lens that lies directly behind your iris and your pupil. This lens will focus light onto your retina. Certain neural connections will transfer the light into an image that your brain recognizes and you will be able to see everything around you. The lens of your eye is composed mostly of proteins. These proteins are arranged very intricately to allow the most light into your eyes. As you age, the proteins will begin to degrade and you may develop small clumps of protein in your lenses. These clumps of protein are cataracts. As you continue to age, they can grow larger and make your lens cloudy. The cloudiness comes from your lens not being able to refract light perfectly. At first, cataracts will not typically cause any symptoms. Once they begin causing symptoms, they have grown significantly and are becoming detriment to your vision. Once symptoms do develop they can include: blurry vision, double vision, faded color vision, sensitivity to glares and vision distortion. Once diagnosed, the main treatment for cataracts is surgery. Cataract surgery is an elective surgery that is almost never considered an emergency. For this reason, if you do have cataracts then you have the decision to keep your vision as is, or to undergo surgery. However, cataracts can cause blindness if left untreated for many years. Cataract extraction is a simple surgery that can be completed in an eye surgical office. If you have cataracts in both of your eyes, then surgery can be completed on both eyes, but at different times. During surgery, an eye surgeon will numb your eye and extract your cataract by removing or dissolving your lens. Then, he will place a new lens in your eye and give you perfect or close to perfect vision. Many older people do opt to have surgery, because after surgery, they do not have to use glasses or contacts to improve their vision. If surgery is not for you, then you could wear glasses or contacts to improve your vision. However, corrective glasses may not work for everyone, and will not cure your cataracts. The only cure for cataracts is to remove them surgically. Cataracts are one of the most common reasons for blindness around the world. If they grow too large, then they can impede your vision greatly and cause you to lose sight in the affected eye. However, most people go to the eye doctor long before their vision is greatly affected by their cataracts. While cataracts need to be taken out to completely restore your vision to its optimum level, some people opt to keep their cataracts. For these people, their largest risk would be blindness. However, if they see their eye doctor regularly then they can watch the size and shape of their cataracts to ensure that they do receive proper treatment before they lose their sight. There are no other complications of cataracts that are known. Your cataract surgery recovery should be short and uneventful, as long as your health is good and you don’t have other major eye problems. Statistics also show that your chances of a good outcome and sharper vision after surgery are excellent. Uncomplicated cataract surgery often takes no longer than about 10 minutes to perform. But immediately after the surgery, you will need to rest in a recovery area until you are less groggy from sedation or anesthesia. Typically this takes about 30 minutes to an hour. You must have someone available to drive you home after the procedure. You’ll be given a pair of sunglasses to wear on the trip home to protect your eye from bright light and glare. If you are sleepy or tired when you get home, you might want to rest in bed for a few hours. Depending on your cataract surgeon’s advice, you may be able to remove the protective shield placed over your eye within several hours after the procedure. Just remember that you will need to tape the shield back over your eye at night or during naps, for protection while you recover from cataract surgery, at least for several days. What Is the Typical Cataract Surgery Recovery Time? Don’t be alarmed if your vision seems cloudy, blurry or distorted after you first remove the eye shield. It can take some time for your visual system to adjust to the removal of the cataract and adapt to the intraocular lens used to replace your eye’s natural lens. During this adaptation period, some patients even report seeing “wavy” vision or distortions. This phenomenon, if present, should last only an hour or so. You may also develop red and bloodshot eyes because of temporary damage to blood vessels on the surface of the “white” of your eye (sclera) during cataract surgery. As your eye heals, the redness should dissipate very quickly within several days. If you received an injection of anesthesia through the skin into the lower portion of your eye, you may notice some bruising similar to a black eye. This, too, should fade within a few days. Many patients report clear vision within several hours after cataract surgery. But each person heals differently, and you may need as long as a week or two before you see images in their sharpest focus. Typically, you will have a follow-up appointment with your cataract surgeon the day after the procedure to make sure there are no complications. If you don’t notice any improvement in blurry vision or you feel eye pain or significant discomfort in the days following this visit, you should report this to your surgeon. Sometimes people report some dry eye or “scratchiness” after cataract surgery. But these sensations should subside as your eye heals, unless you already had problems with dry eyes prior to having the procedure. Your cataract surgery recovery should be complete in about a month, when your eye is completely healed. How Can You Achieve the Best Cataract Surgery Recovery? You might be surprised at how good you feel and how easily you will be able to resume normal activities even the day after cataract surgery. However, you should observe a few precautions during the first week or so, to make sure you avoid developing an infection or sustaining an injury to your eye while it heals. Your eye doctor typically will prescribe antibiotic eye drops to prevent infection and anti-inflammatory eye drops to help reduce any internal inflammation. You’ll need to apply the eye drops several times daily for about the first week during your cataract surgery recovery. Depending on the amount of postoperative inflammation you have, you may need the drops for a few weeks to a month. Make sure you use these eye drops exactly as prescribed. Oral pain relievers such as acetaminophen may be prescribed, if needed. Typically, however, you should feel only slight discomfort after cataract surgery. Don’t drive on the first day. Don’t do any heavy lifting or strenuous activity for a few weeks. If at all possible, don’t sneeze or vomit right after surgery. Be careful walking around after surgery, and don’t bump into doors or other objects. To reduce risk of infection, avoid swimming or using a hot tub during the first week. Don’t expose your eye to irritants such as grime, dust and wind during the first few weeks after surgery. Don’t rub your eye, which is a good idea even when you aren’t recovering from surgery. For the best cataract surgery recovery possible, follow your doctor’s detailed instructions about how to protect your eye following your procedure. Usually these instructions will be given to you as a handout that you can take home with you on surgery day. If you need cataract surgery in both eyes, your surgeon usually will wait at least a few days to two weeks for your first eye to recover before performing a procedure on the second eye. Cataract surgery is one of the safest and most commonly performed surgical procedures in the United States. More than 3 million cataract surgeries are performed in the U.S. each year, and most people have excellent outcomes with no cataract surgery complications. Almost 96 percent of eyes that had no other problems such as other eye diseases prior to a cataract procedure achieved at least 20/40 uncorrected distance visual acuity, which legally is good enough to drive without eyeglasses or contact lenses. In all eyes, including those with pre-existing eye conditions other than cataracts, almost 90 percent of all patients had good outcomes. Fewer than 2 percent of eyes had sight-threatening complications. In rare cases, sight-threatening cataract surgery complications such as endophthalmitis — an inflammation of the inside of the eye, usually caused by an eye infection — can occur. People who experience serious complications often have other health conditions such as diabetes or high blood pressure. A relatively common complication of cataract surgery that usually can be treated easily is posterior capsular opacification (PCO), which can cause your vision to become cloudy months or years after cataract removal. A simple laser procedure called a posterior capsulotomy usually can clear up the cloudiness and restore sharp vision. 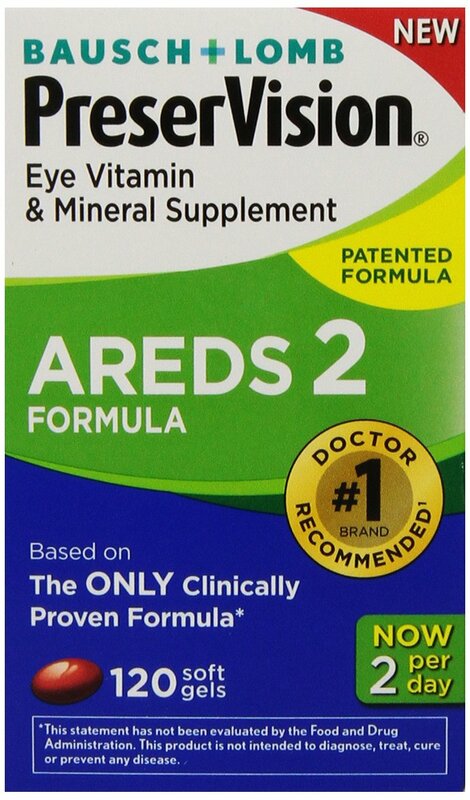 PreserVision AREDS 2 Forumla is the#1 recommended brand by eye doctors for people with moderate-to-advanced Age Related Macular Degeneration (AMD),1 and has over 1,425 excellent reviews by consumers. I am glad that cataracts can be removed, but I would rather not get them. I can’t prevent problems caused by aging, but I can protect my eyes from UV light. If I am consistent with wearing sunglasses, will I have less of a chance of getting cataracts? No studies have proved how to prevent cataracts or slow the progression of cataracts, but doctors think wearing sunglasses may be helpful because ultraviolet light from the sun may contribute to the development of cataracts. So it makes sense to wear sunglasses that block ultraviolet B (UVB) rays when you’re outdoors – its easy to do, and it protects your eyes and the skin around them. Thanks for explaining how to make a smooth recovery from cataract surgery. I am glad to know that it is a very simple procedure. I also like that glasses and contacts will likely not be needed after the surgery. I will have to make sure I keep going to my regular eye appointments, so I can get cataracts treated right away if I am diagnosed. Thanks for the advice on safety after the procedure. I have surgery next month to treat a cataract in my left eye. I will certainly wear the protective patch and be sure to take it easy. It is good to hear that most procedures are successful. My father will be having a cataract surgery soon, and I want to make sure I can help him recover. I think it’s amazing how we have the modern technology to remove cataracts, and that the recovery is so quick! As you said, it’s definitely important to follow the doctor’s guidance on using any antibiotic eye drops after surgery. We’ll be sure to keep these tips in mind. My aunt is going to undergo a cataract surgery next month, I am doing some research about it to help her out.